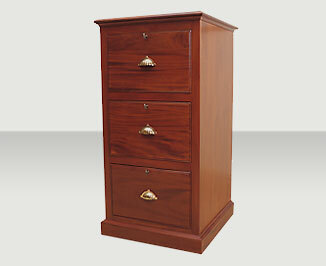 This filing cabinet is constructed of Mahogany timber with matching veneers. A wide range of handles and timber stains are available or you may choose to supply a sample for colour matching. The timber shown is Mahogany and the stain shown is Hand Rubbed Mahogany. 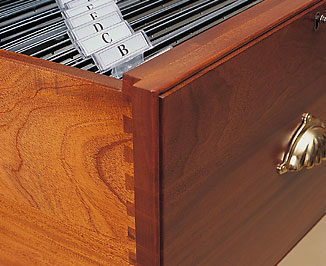 3 drawers with lock & key.